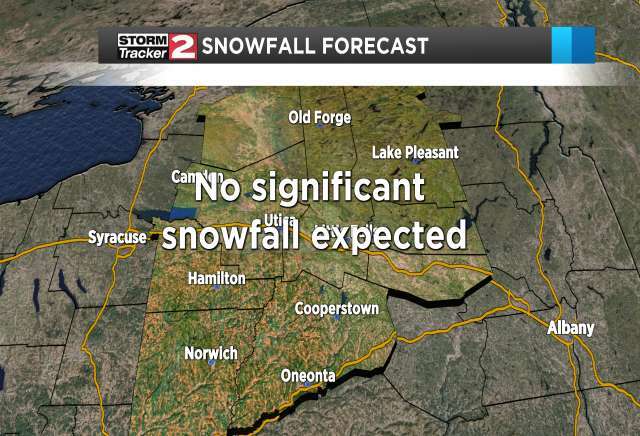 A cold front is expected to roll through the region and bring our next chance of accumulating snow. It was nice to see the sunshine over the past few days. We are in the cloudiest part of the year, with cloudy days outnumbering sunny days more than 6:1. The next weather maker looks to bring a return to snow as we head into Thursday. We start out Thursday dry, with mostly cloudy skies. Temperatures climb above freezing into the early afternoon ahead of the cold front. The cold front arrives in the early evening and brings a burst of snow to the area. The dynamics along the front aren't quite as strong, so snow isn't expected to be quite as intense as that arctic front that arrived the day before Thanksgiving. Still, a brief burst of snow and poor visibility are possible. Colder temperatures look to return on Friday, with highs in the low to mid 20s.